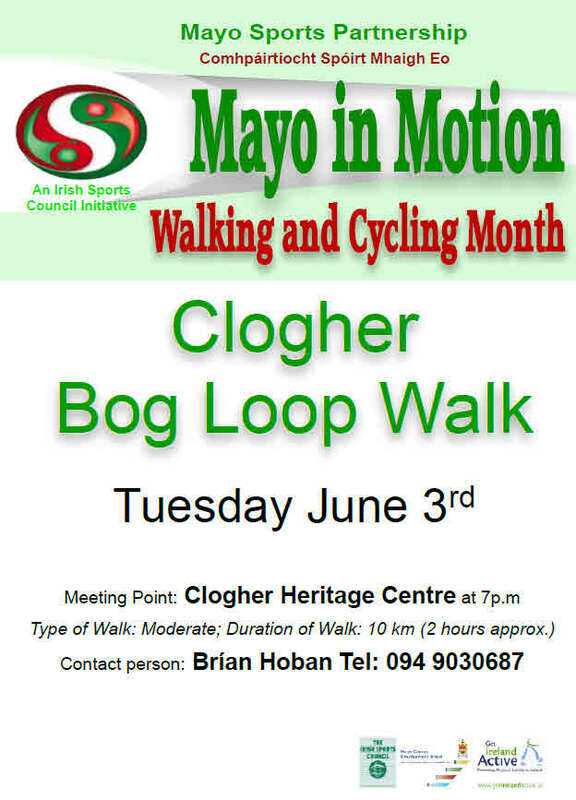 A programme of activities is being organised at Clogher Heritage Centre commencing with a family walk will take place along Clogher Bog Loop Walk on Tuesday June 3rd starting at 7p.m. This is a moderate walk of 10 km and should last approx. 2 hours. Walks are also planned for Tuesdays June 10th and 24th. In addition a Family Fun Cycle will take place on Tuesday June 17th as part of National Bike Week. Cycle will commence at Clogher Heritage Centre starting at 7p.m. This cycling event is family friendly and should suit all levels of fitness. For further details on these events contact Brían Hoban at Tel: 094 9360891.